ViewSonic Corp as well as a continuous Channel Chief Winner of CRN USA and Professional Display Category Winner of Canadian Reseller Choice Awards, host a private showcase for channel and media partners from Asia-Pacific and the Middle East region at its Global Product Group Center and Asia-Pacific Regional Headquarter in New Taipei City to demo an extensive portfolio of professional display solutions that enhance the way organizations and professionals compute, collaborate, communicate and connect. 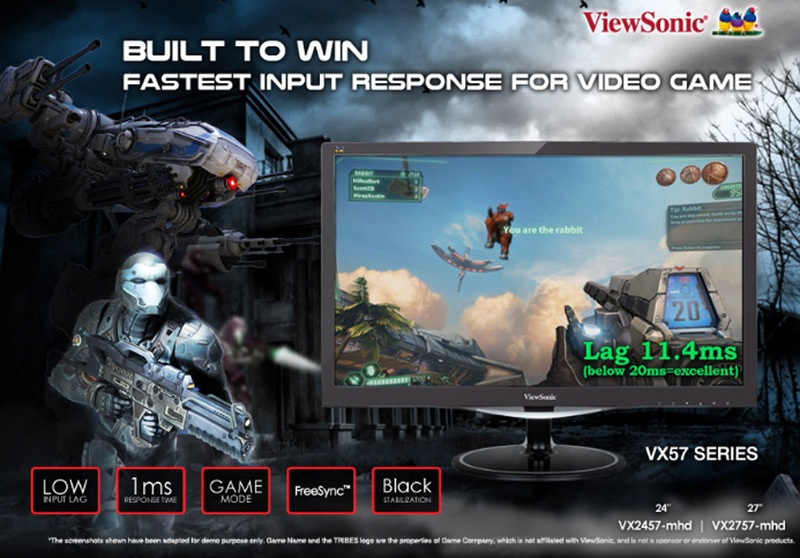 In addition to hardware, ViewSonic will utilize Computex season as a launching pad to further highlight its engineering advancements in its Color technologies, Interactive and Collaboration solutions, while redefining the aesthetic convergence of Home and Professional AV solutions and realizing the inception of eSports Gaming Monitor for competitive gamers across Console and PC platforms. • in addition to the popular VX63 series with SuperClear® AH-IPS technology and 2 HDMI inputs. The stylish range ofViewSonic monitors are certified by Energy Star and EPEAT and carry Eye-Care technology which eliminate eye-strain, energy saving Eco mode and the exclusive ViewMode intuitive presets for screen optimization in different applications. Following the successful launch of VP2780 4K SuperClear® AH-IPS technology and enhanced color accuracy with 14-bit LUT and 3D LUT, ViewSonic is proud to unleash VP2468, the world’s first Full HD sRGB color critical monitor with a contemporary frameless design edge around a 23.8” display enable near seamless viewing across multiple screen, carefully calibrated colors at the factory meeting stringent specifications Delta E<2 and Uniformity <5%, all designed in mind for the amateur photographer and graphic designer. Extending the heritage of ViewSonic® SuperColor™ technology equipped with an exclusive color wheel design and dynamic lamp control capabilities for true-to-life color accuracy, the Pro7827HD is a Cinema SuperColor 2200 ansi lumens Projector that presents best-in-class movie performance for the aspiring home-theater geeks in native 1080p resolution, sRGB and Rec.709 cinematic colors with RGBRGB color wheel and ISF certification including a cool PortAll and cable management design with thoughtful features for quick setup. Interactive flat panel displays including the CDE5561T 50” Full HD, CDE6561T 65” Full HD, CDE7061 70” Full HD and CDE8452T 84” 4K through its interactive ViewBoard™ 2.1 annotation software complement the trend of huddle spaces in K-12 and smaller, connected quick meeting room spaces. These displays can be utilized in Android-, iOS- and Windows-based classroom settings. Turn any ViewSonic Lightstream Short-Throw models into one of the world’s first 10-Touch enabled Interactive Projector with DLP technology utilizing the PJ-VTOUCH-10S mounted infra-red camera and laser curtain module supporting both finger and pen writing. Features an easy angle adjustment, auto calibration, 180 degree laser detection and 3 minutes quick charge, the PJ-VTOUCH-10S is a smart, flexible and cost-effective interactive solution for classrooms and small meeting rooms. 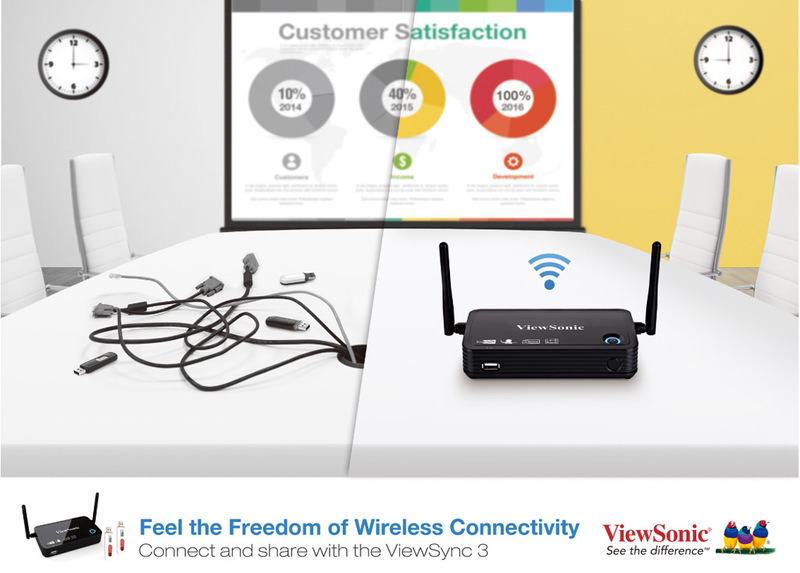 a. ViewSonic ViewSync 3 is a simple-to-use and simple-to-setup wireless presentation system that allows up to 60 users to collaborate and give a wireless interactive presentation with cross-platform support. ViewSync 3 feature AutoProject™ and an innovative AutoProject key – USB dongle, a one-time driver setup in 30 seconds and one-time user quick install; and a Moderator mode for the host to control playback of connected devices; all of these amazingly provide instant transmission of 1080p multimedia content from over 50 devices simultaneously. b. WPG-300 is a powerful and compact HDMI/MHL wireless dongle that allows up to 4 users to present 1080p content from cross-platform devices in real time with quad split-screen functionality. Possibly a game-changing Professional AV projector series in the high-end AV category, the Pro8 series, 5200 ansi lumens utilizing latest DLP™ module come in 3 models: Pro8800WUL (WUXGA), Pro8530HDL (1080p) and Pro8510L (WXGA) deploy a unique “Flex-In” design to integrate an intuitive and really cool form, immense flexibility for plug & play without a computer and an easy installation process conventionally linked to the complexities and costliness of Pro AV installations. An intuitive and spacious spread-out winged PortAll design hidden within the top cover of the Projector allows user to improve cost efficiency by using the HDBase-T dongle to transmit 1080p HDMI signal up to 70 meters through a single network cable or, instantly plug and play contents from a Chromecast or Intel PC stick. Unique to Pro 8 series are the centered lens design and 4-in-1 power button for power key, dongle power indicator, dongle receiver and projector remote control receiver. 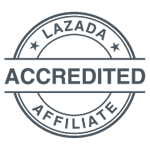 Beyond picture quality, laser projector last longer than traditional lamp-based projectors, are durable and nearly instant on/off. Laser projection produce deeper, richer colors with very wide color gamut, all the way to Rec.2020 color space without sacrificing brightness. 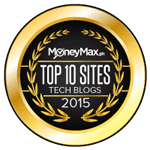 ViewSonic LS830 balances 4000 ansi lumens and 100,000:1 contrast-ratio, is a pure laser ultra short-throw projector bundled with a diffuser screen is the exemplary future of 100” Home Cinema. 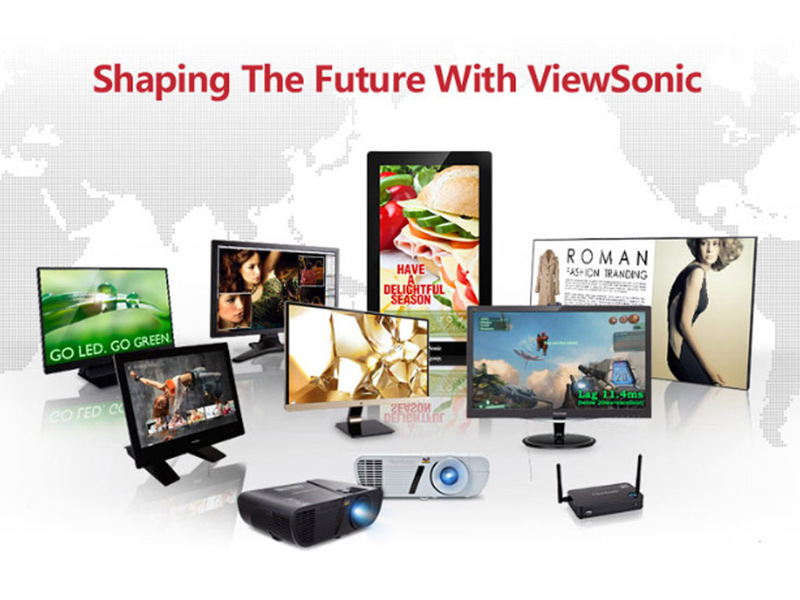 As the next gen consoles start to mature, video game publishers are rolling out more games, more money with more audience, spectacular announcements and strong signs of television catching up with eSports broadcasting stations, ViewSonic is well positioned in 2016 to address this category through the initial positioning of Fast Input Response monitors with 3 unique assets: low input lag, fast gray-to-gray response time, good color for the budding eSports gamers. • VX2457-MHD 24” and VX2757-MHD 27” Full HD monitors with AMD FreeSync 75Hz, 1ms response time and low input lag are the best monitor companion for console based fighting games in tournaments such as Street Fighter V.
• XG2700-4K, a gorgeous 27” UHD (4K) monitor with SuperClear® IPS technology, low input lag, fast gray-to-gray response of 5ms and stunning colors with AMD Free Sync fully realize the potential of tear-free, picture-perfect gaming for the most demanding RPG and MOBA games. • Additionally, the XG3202-C display an awesome 31.5” ultra-wide, 144Hz fast refresh rate and 1800R Curved Full HD monitor, perfect choice for immersive gaming experience. XG2703-GS is a cutting edge gaming monitor with an incredible variable refresh rates up to an amazing165Hz, 4ms gray-to-gray fast response time, WQHD resolution capped with nVidia G-Sync technology comes with SuperClear® IPS technology. This model is built in with a Game Mode feature to optimize FPS, RTS and MOBA game play as well as a dark color enhancement function to help gamers target enemies in the dark.